The Hospice Medicare Benefit is a special part of Medicare that pays for hospice care. If you or a loved one have Medicare and are considering enrolling in hospice care, here's what you need to know about hospice and the Hospice Medicare Benefit. 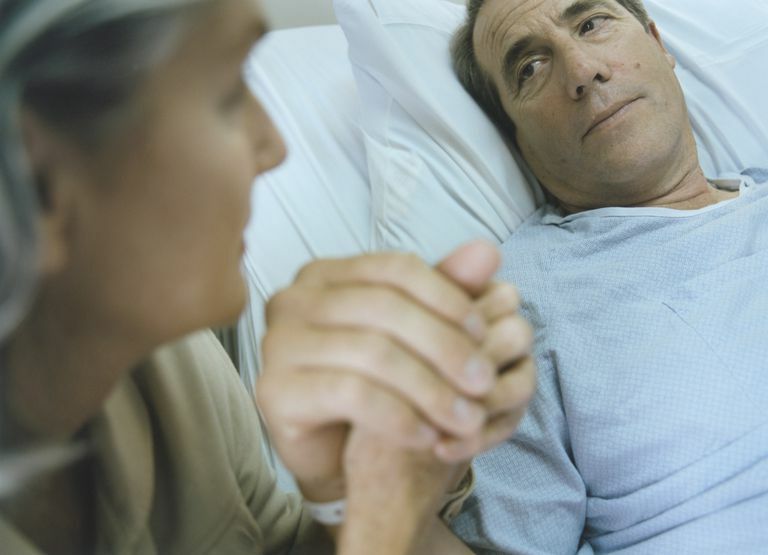 Not everyone can get hospice; you must qualify for it. To be eligible for hospice, you must have a life expectancy of fewer than six months (although if you live longer than six months, you can continue to receive hospice benefits as long as your hospice doctor recertifies that you're terminally ill; the recertification is initially after 90 days and 180 days, and then every 60 days thereafter). Additionally, you must agree to forgo further curative treatment options for your terminal illness, instead choosing treatment options aimed at keeping you comfortable and maintaining as good a quality of life as possible. If you have Medicare and choose a Medicare-certified hospice organization to provide your hospice care, the costs will be paid by the Hospice Medicare Benefit. Medications necessary to keep you comfortable and control or prevent your symptoms. Hospice home health aides to help with bathing and bed changes. Medical equipment like a wheelchair or hospital bed necessary to keep you comfortable. Social workers to help you get your affairs in order and to help you and your family deal with emotional difficulties and grief. Respite care needed to give your caregiver a break. Speech, occupational, or physical therapy needed to keep you comfortable or teach you how to cope with the changes your body is undergoing. Grief counseling for both you and your loved ones. Anything else the hospice team feels is necessary and related to keeping you comfortable and limiting the symptoms of your terminal illness. The Hospice Medicare Benefit doesn’t cover anything aimed at curing your terminal illness. For example, it might cover the cost of radiation therapy aimed at shrinking a tumor that is pressing against your spinal cord causing pain. But, it wouldn’t cover radiation therapy aimed at curing your disease. The key is whether the treatment is to control your symptoms so you can be comfortable (covered), or whether the treatment is an attempt to cure your terminal illness (not covered). It doesn’t cover the cost of room and board. This isn’t usually a problem if you’re in your own home, which is where hospice care is generally provided. But, if you are in a nursing home, assisted living facility, board and care home, or living at a hospice facility, you’ll be responsible for covering your board and care costs. If it’s clear that you need to live in a nursing home, assisted living, or hospice house but can’t afford room and board, some hospice organizations will use charitable donations to assist you with those costs. This is usually done on a case-by-case basis, so if you predict this may be an issue, ask about it as you’re choosing which hospice organization to use. Emergency room and ambulance services aren’t covered by the Hospice Medicare Benefit unless your hospice team feels they’re necessary, related to your terminal illness, and arranges for you to use receive those services. You will have a small copay of $5 for medications, although some hospice organizations waive this copay. You may have a 5% coinsurance for the cost of any respite care (meaning you pay 5 percent of the Medicare-approved cost). If you have a Medigap plan, it will cover some or all of your out-of-pocket costs for hospice. You will pay the Medicare Part B deductible and coinsurance for any physician services you receive from a doctor that isn’t working for your hospice organization. You'll need to continue paying any Medicare premiums you were paying before you signed up for hospice. For example, if you were paying a Medicare Part B premium or a premium for a Medigap policy, you'll need to continue paying those premiums. Only Medicare recipients can get the Hospice Medicare Benefit. When you choose to enroll in a hospice program, part of the process of enrolling in hospice will be switching from your current Medicare plan to the Hospice Medicare Benefit. The hospice personnel who assist you with enrolling in the hospice program will also assist you with enrolling in the Hospice Medicare Benefit. The Hospice Medicare Benefit is part of Medicare Part A. When you sign up for hospice, whether you’re on Original Medicare or a Medicare Advantage Plan like a Medicare HMO, you’ll automatically be covered under the Original Medicare hospice benefit. Original Medicare Part A will then pay the hospice organization a set dollar amount for every day you’re their patient. This set dollar-per-day rate is known as a per-diem rate. If you're enrolled in a Medicare Advantage plan, you can choose to remain in that plan as long as you continue to pay the premium, and the Medicare Advantage plan will continue to cover your health care that's not related to your hospice needs or your terminal condition. The hospice organization pays for all of your necessary hospice care out of its per-diem rate. It gets this money every day whether or not the hospice nurse or home health aide came to visit you that day. The hospice organization now acts a bit like an HMO in that you’re only allowed to get healthcare services related to your terminal illness from that hospice organization, or from another healthcare provider it contracts with. For example, if you need home oxygen and a hospital bed, you can’t get them from any medical equipment provider you choose. Instead, you must get them from the medical equipment provider your hospice organization contracts with, and your hospice must agree that you need these items. You may still get healthcare services that aren’t related to your terminal illness from non-hospice providers. For example, if your terminal illness is cancer, you may continue to see your cardiologist for treatment of your heart arrhythmia since it has nothing to do with your terminal illness. Hospice won’t pay for the cardiologist out of its per-diem since that doctor’s visit wasn’t related to your terminal illness. However, Original Medicare Part B will pay for the cardiologist visit as it has in the past. If you change your mind about hospice after you’ve signed up, you may revoke the Hospice Medicare Benefit and continue to receive care under Original Medicare, or a Medicare Advantage plan if you're enrolled in one. If you want to continue to receive hospice services, but change your mind about the hospice organization you’ve chosen, you may switch to a different hospice organization. However, you can’t switch hospice organizations any time you wish. You may switch one time during the first 90 days of your care, one time during the second 90 days of your care, and once every 60 days thereafter. Hopefully, you’ll choose a hospice organization you’ll be happy with and not need to change. Centers for Medicare and Medicaid Services. Medicare Hospice Benefits. Revised March 2018. Medicare.gov. How to Compare Medigap Policies. Compare Medigap Plans Side-by-Side. Is Original Medicare or Medicare Advantage the Right Choice for You?